While Arsenal fans mourn the loss of yet another star player to their bitter northern rivals (I'm sure the wounds left by Robin van Persie's move have barely healed), Manchester United have gained one of world football's most exciting and talented players. Alexis Sanchez made no secret that he was unhappy at the London club, particularly as they missed the Champions League this season, and it's no surprise to see him donning a new jersey. The big story of course is the number on his back. 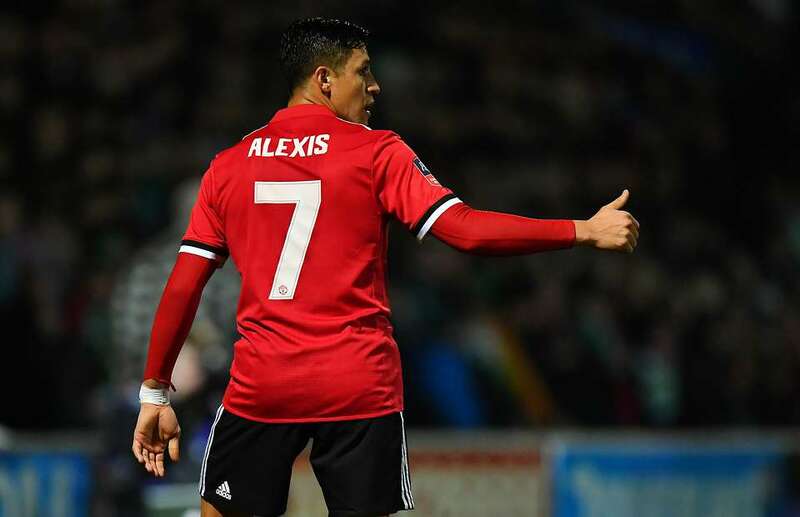 Sanchez will join the likes of Cristiano Ronaldo, David Beckham, Eric Cantona, Bryan Robson and George Best as a Manchester United player to wear the coveted Number 7 shirt, and while he certainly has the pedigree to excel, the expectation that comes with wearing such a prestigious number can make or break players. The Chilean winger will add another attacking weapon to United's arsenal (pardon the pun), although it will be interesting to see how a defensive-minded coach like Jose Mourinho gets the best out of him. In his first league start for the club, Sanchez was deployed on the left in what looked to be a 4-2-3-1 formation, appearing alongside Jesse Lingard and Anthony Martial in the attacking third with Romelu Lukaku up front. It's hard to gauge how well that will work moving forward, particularly as Spurs beat them convincingly at Wembley. The 2-0 loss wasn't the ideal start for Sanchez, who will also be battling to overcome a peculiar trend. 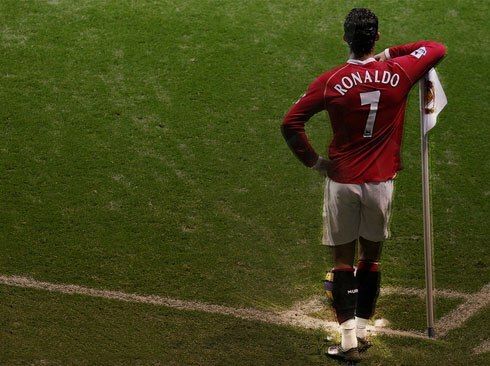 Since the great Cristiano Ronaldo left the club in the summer of 2009, no player has performed well in the famous Red Number 7. It was always going to be a tough act to follow, although Cristiano's successor to the jersey raised plenty of eyebrows, both at Old Trafford and at the home of great rivals Liverpool. Michael Owen was nearing the end of his career and had been ravaged by injury during a stint at Newcastle United. After the Magpies were relegated, Owen joined the Red Devils on a free transfer - perhaps Sir Alex Ferguson believed an experienced player would best handle the weight of expectation that comes with replacing one of the best ever footballers. Owen was a bit like Tiger Woods in that at his best he was unstoppable, and people around the world were hoping he could return to his best form. At Liverpool between 1996 and 2004, Owen scored an amazing 118 goals in 216 appearances. Sadly, his return at Manchester United was meagre - he only managed five goals in 31 matches. The experiment had failed. 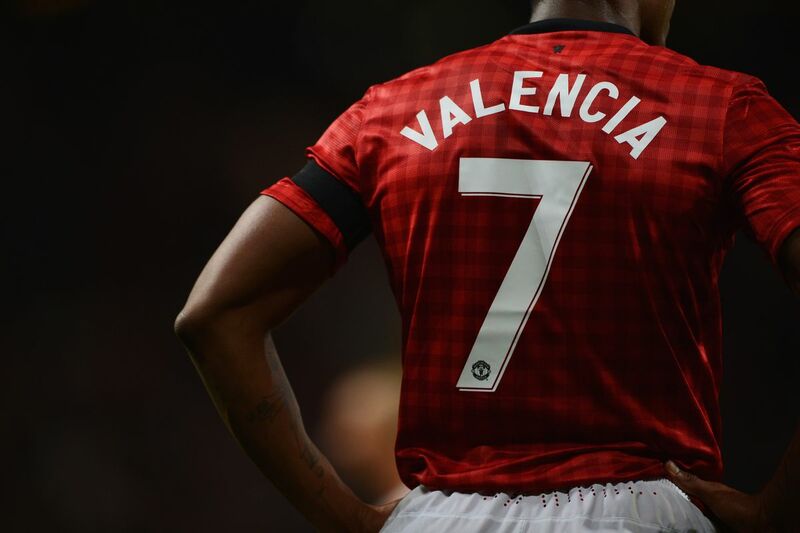 Antonio Valencia was the next to don the 7, and perhaps he was guilty of putting far too much emphasis on a shirt number. After arriving from Wigan during Michael Owen's stint at the club, the Ecuadorian was given the number 25 shirt and performed well for two seasons. 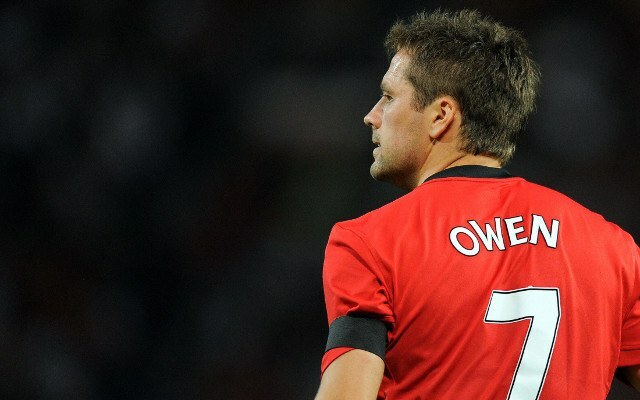 He took over as Number 7 following the departure of Owen in 2012, and scored just one goal in forty appearances. After an indifferent season, he opted to take back the number 25, and has returned back to his best. After the retirement of Sir Alex Ferguson, United struggled to maintain their aura of invincibility. An influx of signings were brought in before the start of the 2014 season, and the biggest was arguably Angel di Maria, who arrived from Real Madrid in what was the highest British transfer fee at the time. An Argentine winger who had performed well in Spain, scoring 22 goals in 124 matches, looked to be just the tonic the Number 7 shirt needed. At first, it looked to be paying off for United as di Maria won the Premier League Player of the Month award in September, although from then on his season was a mix of poor form and injury. He only lasted one season in red, scoring just three goals in 27 appearances, before being shipped off to Paris Saint-Germain. Frustratingly for United fans, di Maria has excelled in Paris since his departure. 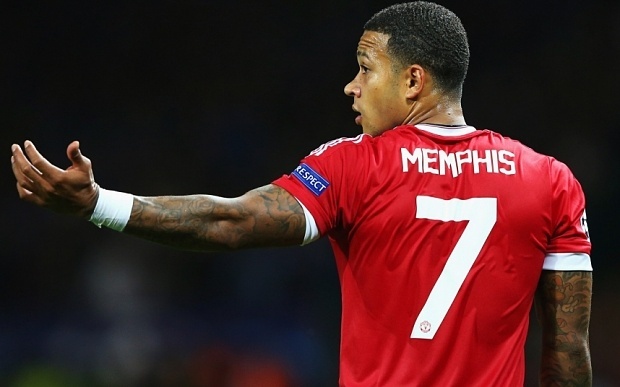 Once again, Manchester United tried to find a player worthy of the shirt, and they thought they had their man when they signed a player dubbed 'the young Cristiano Ronaldo' in Memphis Depay. His form as a winger for PSV Eindhoven had been immense, and his 39 goals from 90 games was a great return for a player in his position. Big things were expected of the then 21 year-old. Sadly, it looked to be a case of too much too soon for the young dutchman. In two very unsuccessful seasons for United, Depay never looked at the top of his game, and managed just two goals from 33 matches. The curse had claimed another victim, and Depay became the second consecutive number 7 to move on to another club and return to form - he is currently performing superbly for French side Lyon. Manchester United have played around 500 matches across eight and a half seasons since Cristiano Ronaldo left the club in 2009. Out of these 500, the number seven has featured in just 131 games. Players wearing the number seven have scored just eleven goals in this time. Cristiano Ronaldo, the last successful player to wear the jersey, scored 84 goals in 196 appearances across six seasons. Eric Cantona and David Beckham, the two other number sevens for Manchester United in the Premier League era, scored 64 and 62 goals respectively. Can Sanchez Stop The Rot? It will be interesting to see whether Alexis Sanchez can find his feet at Manchester United. There's no doubt that he is up there with some of the best players in the world when he is mentally focussed, but we haven't seen the best of him in the last twelve months, most likely owing to the ongoing speculation about his future. He will be absent from the upcoming World Cup, which gives him a big chance to focus on his new club. Sanchez was slated by former Arsenal teammates recently for being unpopular in the dressing room. Whether this is due to him feeling he was a class above the others or was simply unhappy is unclear, but he must address this in his move to one of the biggest clubs in the land. His relationship with Jose Mourinho will be key. You could argue that alongside Romelu Lukaku and Paul Pogba, who both cop consistent criticism due to their huge price tags, Sanchez will be able to fly a little further under the radar. While there is always pressure on a big new signing, the attention on the other stars may help Sanchez settle into life at Old Trafford a little easier. Regardless, Sanchez's signing is a huge blow for Arsenal and a massive coup for Manchester United. 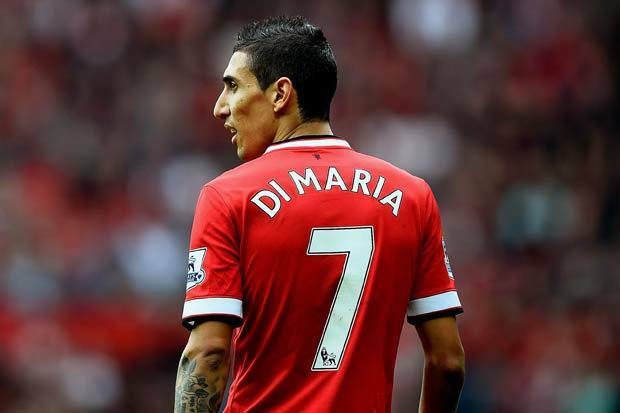 Let's hope that the Chilean can return to his best in Manchester.